Google might have surprised everyone when it failed to unveil any new Nexus hardware at its I/O 2015 conference. 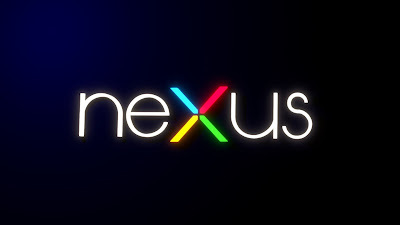 Even so, the common consensus is that the search giant will introduce two new Nexus smartphones later this year, probably when the final version of Android M is ready to be officially launched. For the first time, Google is going to partner up with Chinese smartphone maker Huawei in order to give birth to a Nexus device with a 5.7-inch display. On top of that, the Mountain View tech giant has decided to continue its partnership with LG, so in 2015, the Korean device maker will launch a second iteration of the popular Nexus 5 which launched back in 2013. While we’ve seen the specs of the Huawei Nexus leak online, we have virtually no information about the LG Nexus 5 (2015), but this week, the folks at Gizmo China have managed to unearth the purported specifications of the upcoming phone. The report also includes some info about the Huawei-made handset. According to the aforementioned report, this year’s Nexus 5 will arrive on the market with a 5.2-inch full HD display with 1080p (1920 x 1080 pixel) resolution, while the yet unannounced Snapdragon 620 (MSM8976) processor will be breathing life into the whole device, in combination with up to 4GB of LPPDR3-1866 RAM and up to 64GB of eMMC 5.1 internal storage. The Snapdragon 620 was spotted making a quick stop in benchmarks and revealed pretty great performance, comparable to the Snapdragon 810. The chip should make it out into the world with four Cortex A72 cores clocked at 1.8GHz, which explains the encouraging results. The other four cores making up the octa-core setup are of 1.2GHz A53 variety. We’re also told the phone will don a 3,180 mAh non-removable battery, plus a MediaTek MT3188 wireless charging receiver, a Marvell Avastar 88W8897 connectivity chipset for 802.11ac Wi-Fi, NFC and Bluetooth 4.2. More than that, the Nexus 5 marks a first for Google, as the phone will come equipped with an integrated fingerprint sensor. In the photography department, the new Nexus 5 will take advantage of a 13MP rear camera with IMX278 RGBW sensor, a 6-element f/1.8 aperture lens, OIS, laser autofocus and dual-tone LED flash, while in front will sit a 4MP selfie snapper with OV4682 RGB-IR sensor and Iris detection (will the system be used for authentication, too?). The device will also enjoy the services of stereo speakers, a new USB Type-C connector, and QuickCharge 2.0. Last but not least, it is revealed that the phone will come boasting an aluminum metal frame with chamfered edges and a matte plastic back cover. Its price will be of around $300-$400 / €274-€365. As for the Huawei Nexus, we’re told that the smartphone will make a debut in the wild with a 5.7-inch AMOLED display with QHD resolution (2,560 x 1,440 pixels), a 21MP main camera with IMX230 sensor, plus Rezence/WiPower wireless charging. It will boast a metal unibody design, so it seems this one will be the more premium product between the two new Nexus models. Previous leaks indicated that the phone might take advantage of a Snapdragon 820 SoC, which is pretty unlikely since devices bundling this architecture are poised to make a debut on the market in March of 2016. So the most likely scenario seems to be that the handset will make it out with a Snapdragon 810 under the hood. It will also have a fingerprint scanner like the LG Nexus 5.